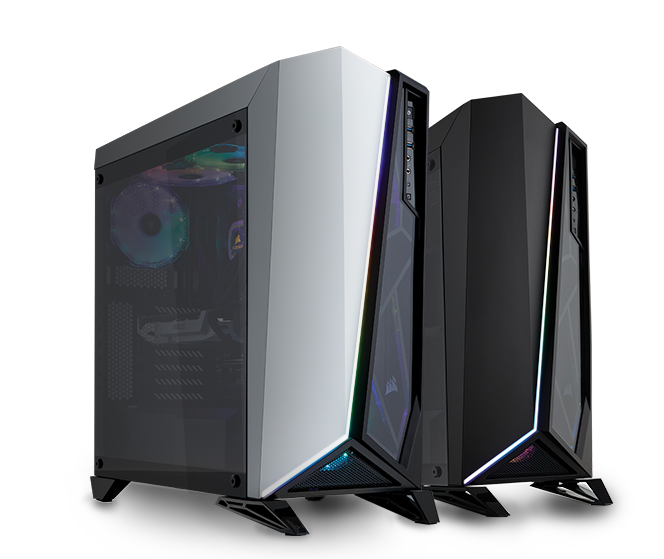 The Carbide Series SPEC-OMEGA RGB is a mid-tower PC case with striking angular looks and a tempered glass side panel. 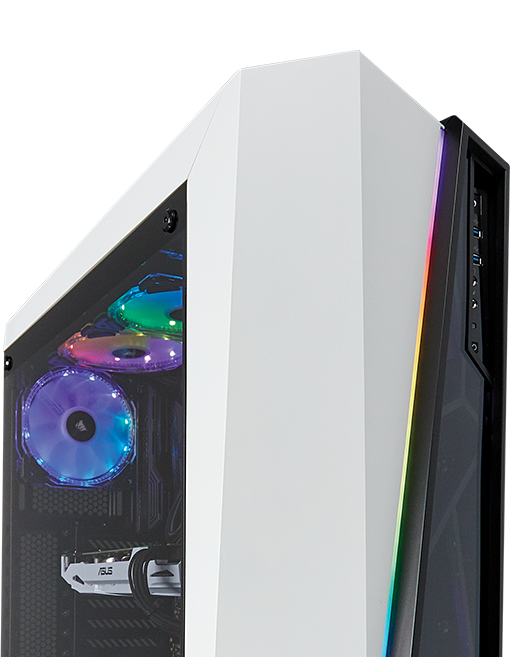 A front panel tempered glass window and programmable RGB lighting profiles make this the ultimate SPEC. 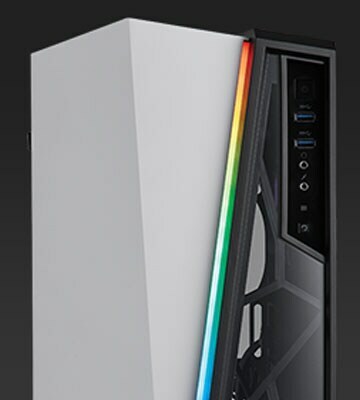 Asymmetrical, angular design and an integrated RGB light strip gives the Spec-OMEGA RGB a bold, unique and modern look. The included Lighting Node PRO digital RGB lighting controller means that with the power of iCUE you can easily choose new lighting modes from a wide array of built-in effects or create your own. 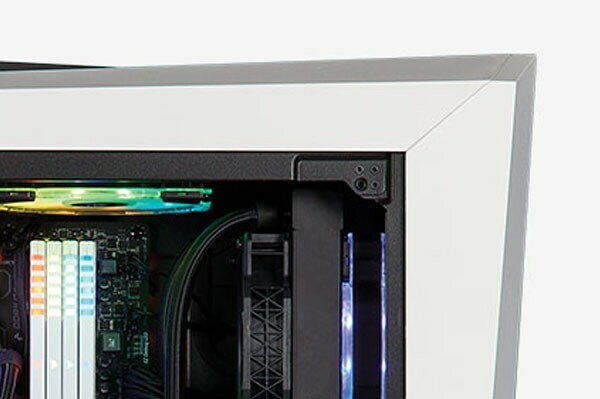 The Lighting Node PRO digital RGB Lighting controller provides individually addressable LED lighting with software control for unique lighting effects and vivid illumination of your PC. 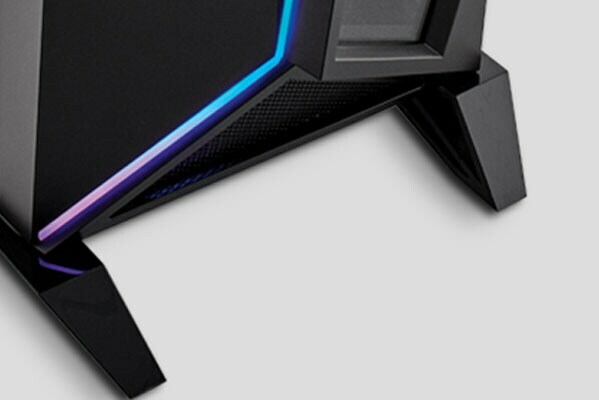 Dual channel operation allows for expansion of up to four RGB LED strips per channel or the addition of a set of CORSAIR LL RGB, ML RGB, HD RGB, and SP RGB fans (sold separately). 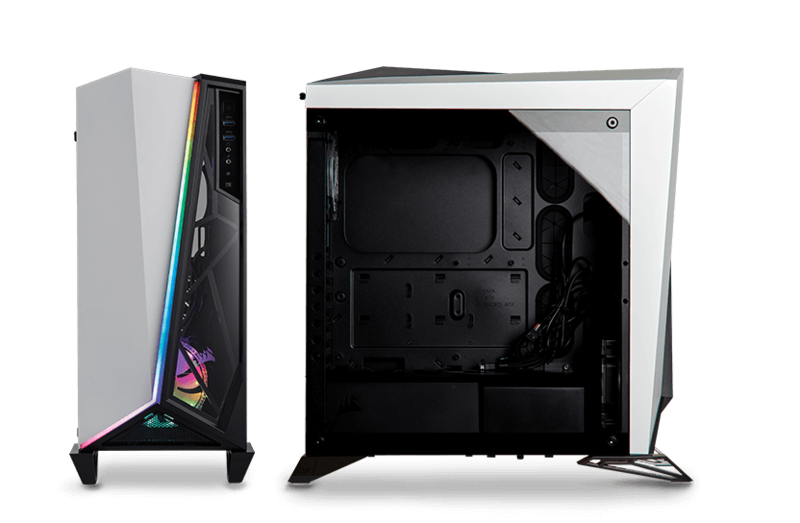 Combining the CORSAIR Lighting Node PRO and iCUE software gives you full control over your case lighting right from your desktop. 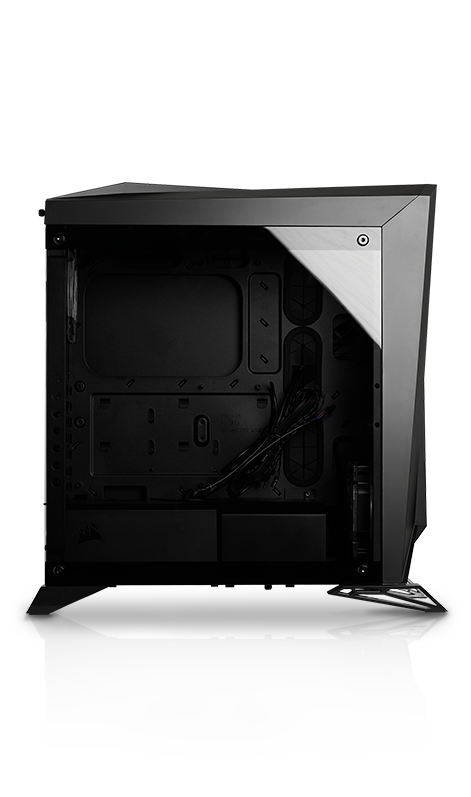 Room for up to six 120mm fans, or up to a 360mm Hydro Series cooler in front, 240mm at top, and 120mm in the rear. 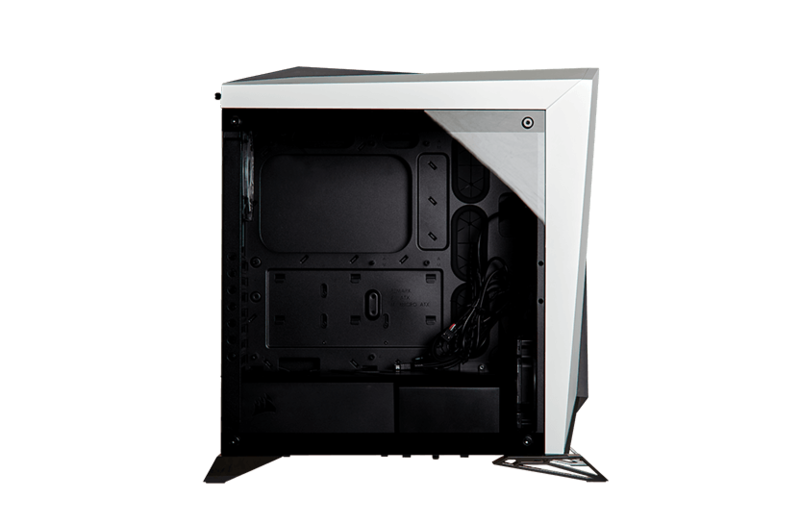 Tempered glass side and front panels put your system on display and an included PSU shroud conceals cables and drives to keep the inside as clean as the outside. 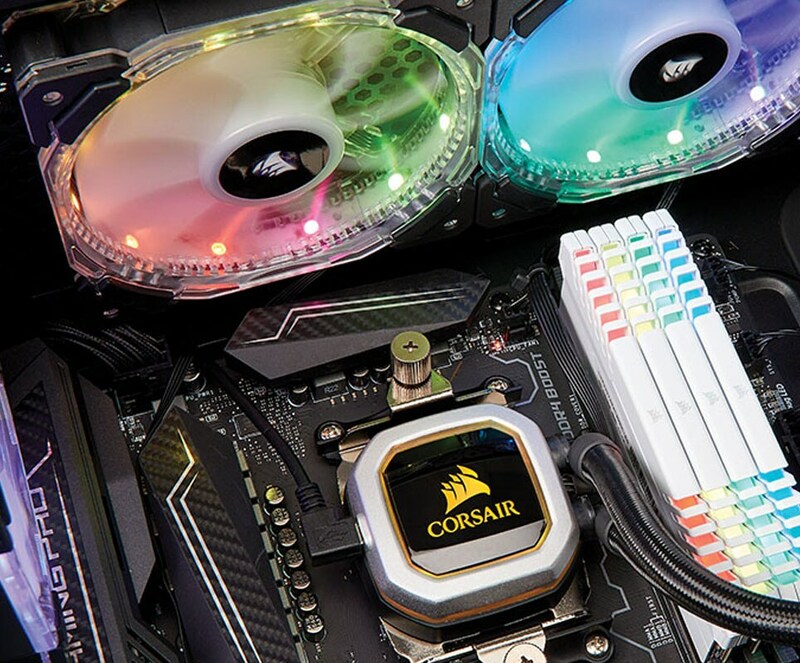 30 RGB LEDs in the front fascia and two included CORSAIR HD120 RGB fans offer complete RGB customization. 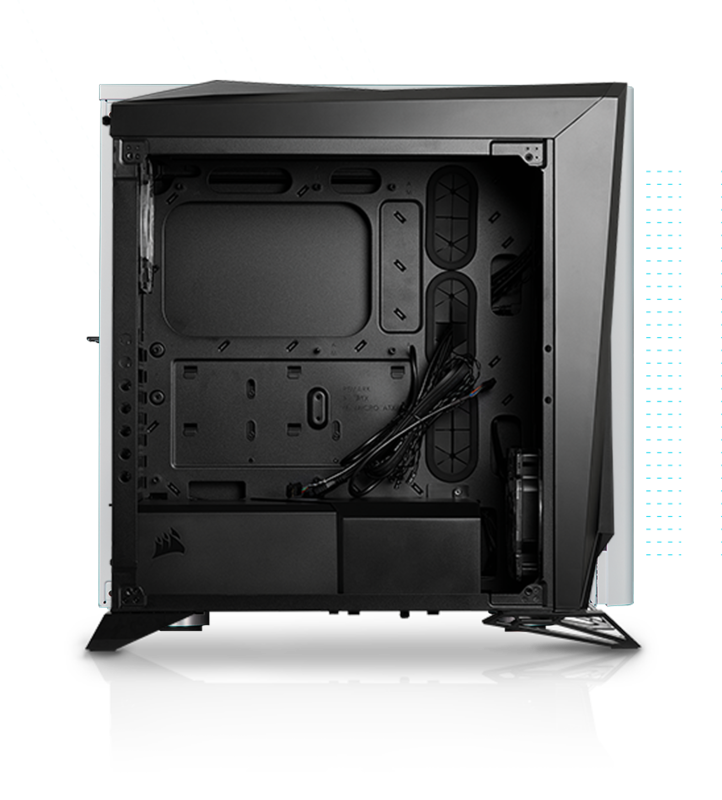 Cool your system with a Direct Airflow Path™ layout that removes airflow obstructions so the coolest air gets to your hottest components quickly and efficiently. 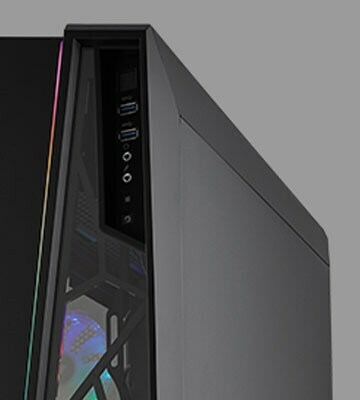 Powerful CORSAIR iCUE software brings your system to life with dynamic RGB lighting synchronized across all your iCUE compatible products, including fans, RGB LED light strips, DDR4 memory, keyboards, mice and more.